Self-portrait taken the day after my wedding reception in Kolkata, India. 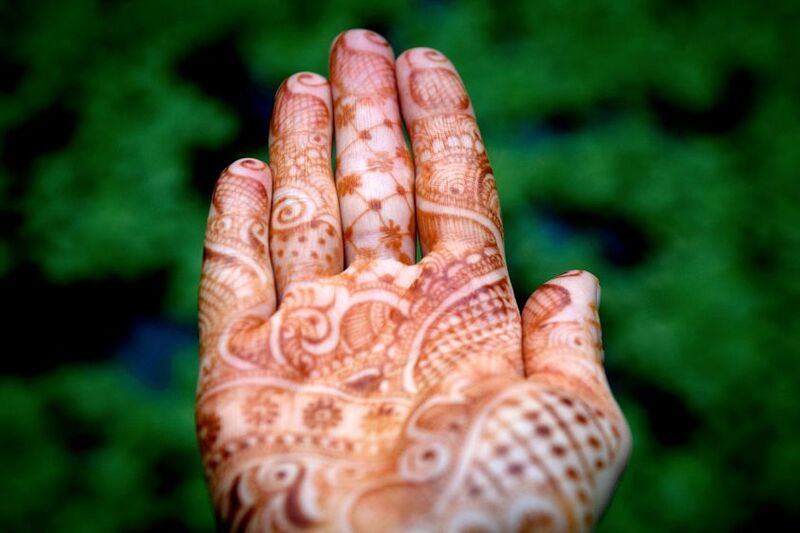 Mehndi is one of the oldest forms of body art and is an Indian wedding tradition. 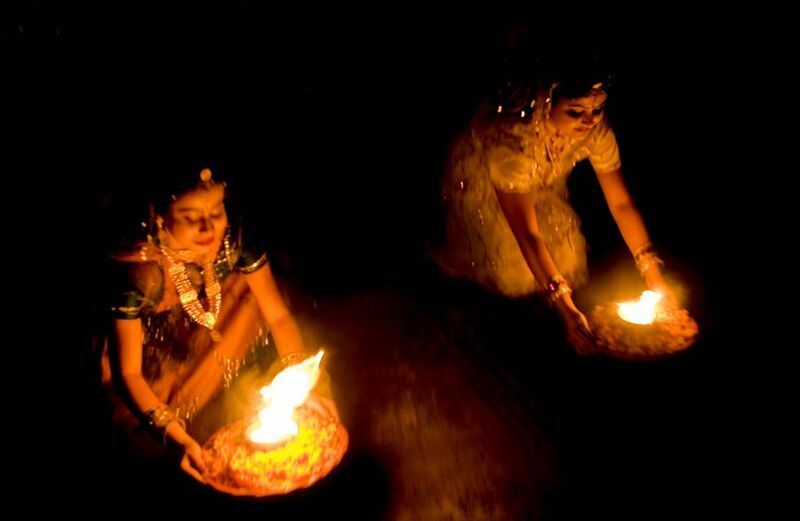 Indian dancers bring out a fire blessing at our wedding celebration in Kolkata, India. 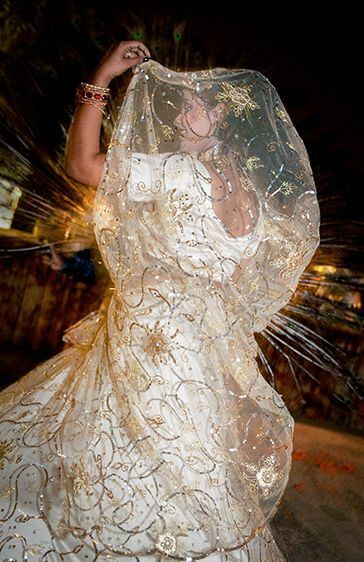 Traditional Indian dancers perform at our wedding celebration in Kolkata, India. 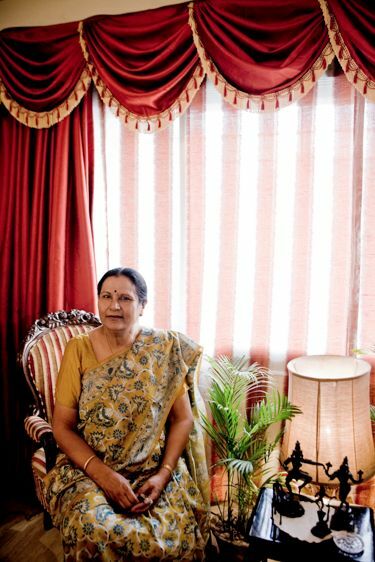 My mother-in-law Manju photographed in her home in Kolkata, India. My father-in-law Biki photographed in his home in Kolkata, India. A woman tries on a Lehenga and Chunni outfit in Kolkata, India. Rangoli is an ancient Indian art form made during Hindu festivals. Designs are passed down from one generation to the next and are thought to bring good luck. My husband and daughter on New Year's day in Kolkata, India. My daughter Sophie outside a prayer room in Kolkata, India. A paratha party held at my in-laws home in Kolkata, India. Indian street food vendor in Kolkata, India. My mother-in-law and daughter in Kolkata, India. My husband's aunt photographed in Kolkata, India. In Sikhism, Kesh is the practice of allowing one's hair to grow naturally as a means to profess the Sikh faith. My daughter Sophie in Goa, India. My father-in-law and daughter at a playground in Kolkata, India. Boys playing cricket in the streets of Kolkata, India. Indian Street Food vendor carries his supplies. Photographed in Kolkata, India. Women wash clothes in the Hooghly river which is a distributary of the Ganges River. The river is considered sacred to Hindus and its water is considered holy. Photographed in Kolkata, India. Early morning bathers arrive at Hooghly river which is a distributary of the Ganges River. The river is considered sacred to Hindus and its water is considered holy. Photographed in Kolkata, India. Tangled utility wires outside a mosque in Kolkata, India. A whole family rides on a motorcycle in Goa, India. A boy looks out a bus window in Kolkata, India. A balloon vendor on New Year's day in Victoria Park located in Kolkata, India. Cow dung is a source of green energy. It is collected and used to produce biogas. This gas is rich in methane and is used in rural areas of India to provide a renewable and stable source of electricity. Monkeys perform outside Victoria Memorial in Kolkata, India. A woman sells marigold garlands at the flower market in Kolkata, India. In Hinduism, marigolds symbolize auspiciousness. 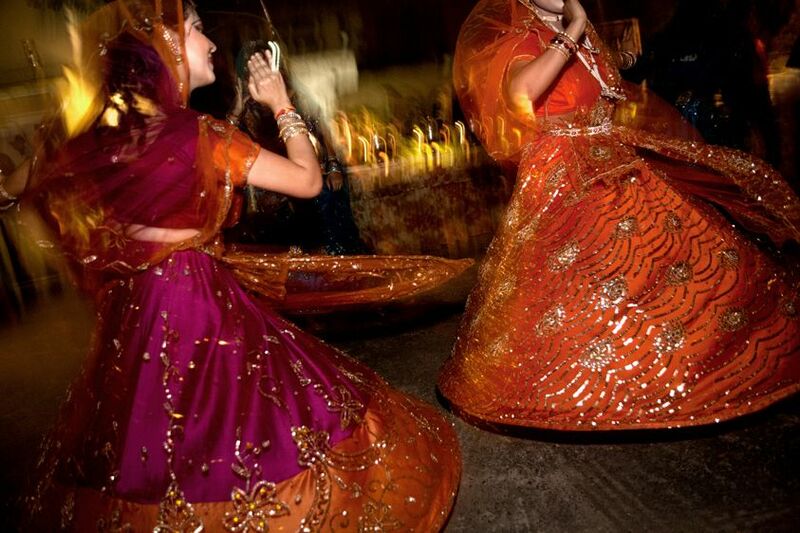 and are used in many celebrations throughout India. My mother-in-law at New Market in Kolkata, India. A girl rides a mechanical bull at Nico Park in Kolkata, India. Children playing in the alley in Kolkata, India. The Indian provincial government declared rickshaw pulling to be an 'inhuman practice'. Only about 6,000 rickshaws survive today because authorities have stopped giving out new licenses. Hindu idol Saraswati partially finished in the potter's quarter Kumaetuli, Kolkata, India. Artist workshop in Kumartuli located along the Hooghly River in north Kolkata, India. In the historic quarter of Kumartuli in Kolkata, India, potters create idols for religious festivals. The artisans carry on a centuries-old tradition. Clay idol Saraswati photographed in Kumartuli, Kolkata, India. Saraswati is the Hindu goddess of knowledge, music, art, wisdom, and learning. In the historic quarter of Kumartuli in Kolkata, India, potters create idols for religious festivals. The artisans carry on a centuries-old tradition. This workshop includes the Indian actor Shah Rukh Khan (on right) who is known as the 'King of Bollywood". Idol in the historic quarter of Kumartuli in Kolkata, India. Potters create idols for religious festivals and carry on a centuries-old tradition. A man sells idols in Kumartuli ,Koldata, India. Hindu Idols with marigold garlands in Kumartuli, Kolkata, India. Hindu Goddess Kali photographed in Kumartuli, Kolkata, India along the Hooghly River. Recovered puja idol from the Hooghly River in Kumartuli, Kolkata, India. The idols are recovered after being immersed in the river to avoid polluting the water. Recovered Kali puja idol from the Hooghly River in Kumartuli, Kolkata, India. The idols are recovered after being immersed in the river to avoid polluting the water. In Hinduism, the tilaka is a sacred mark worn on the body (usually the forehead). Photo was taken outsite a temple in Kerala, India. Sophie with flower offering outside Mangeshi Temple in Goa, India. Pareshnath Jain Temple in Kolkata, India. Inside the temple in Kolkata, India. Pareshnath Jain Temple gardens in Kolkata, India. One of the three kings taken in Cansaulim Chandor, South Goa, India. Incense burning has taken place in India for thousands of years and is used for both religious rituals and insect repellent. My daughter Sophie helps build a sandcastle on the beach in Goa, India. My daughter Sophie plays on a playground in Goa, India. Ancient Indian massage technique that detoxifies the body, mind, and spirit. Traditional decoration in India for auspiciousness.